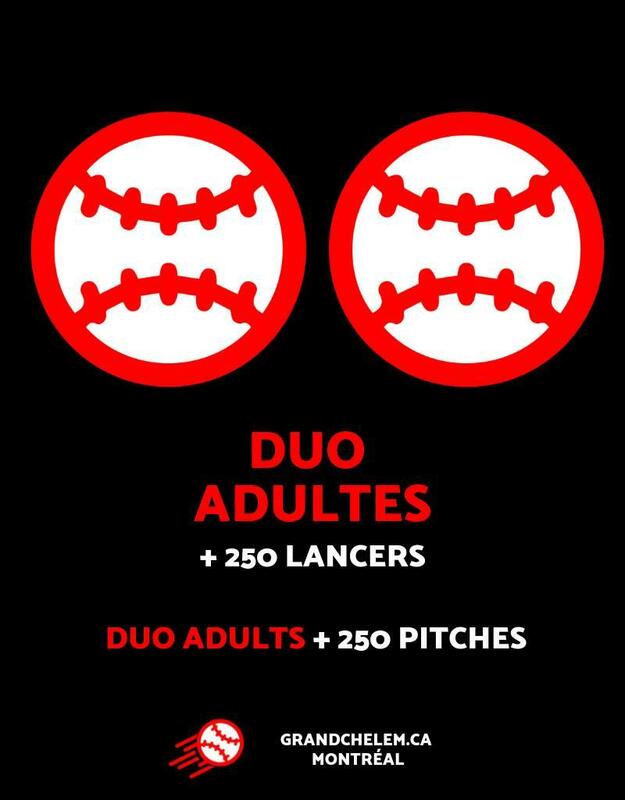 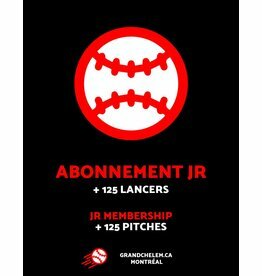 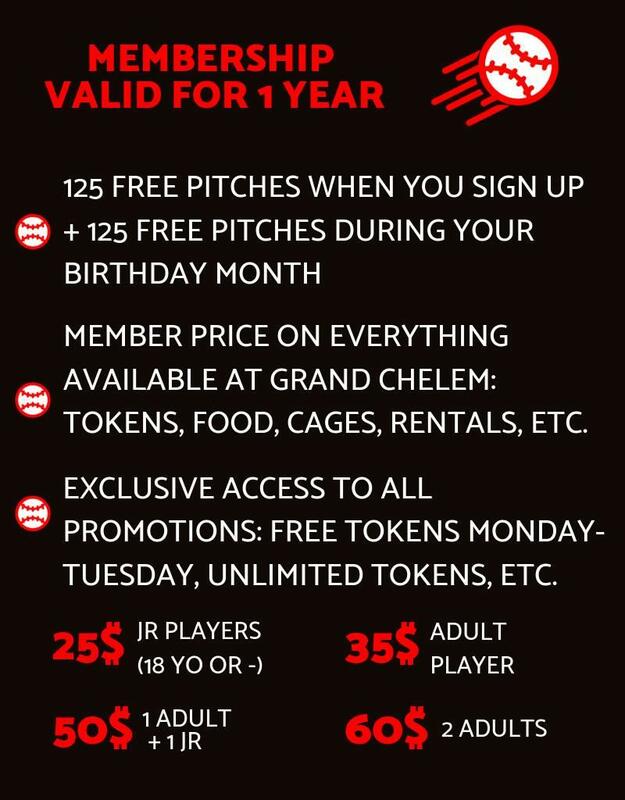 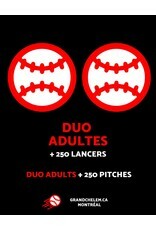 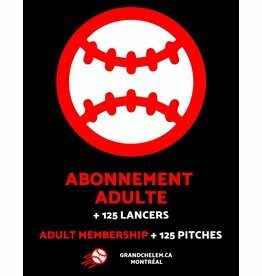 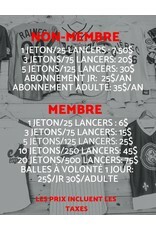 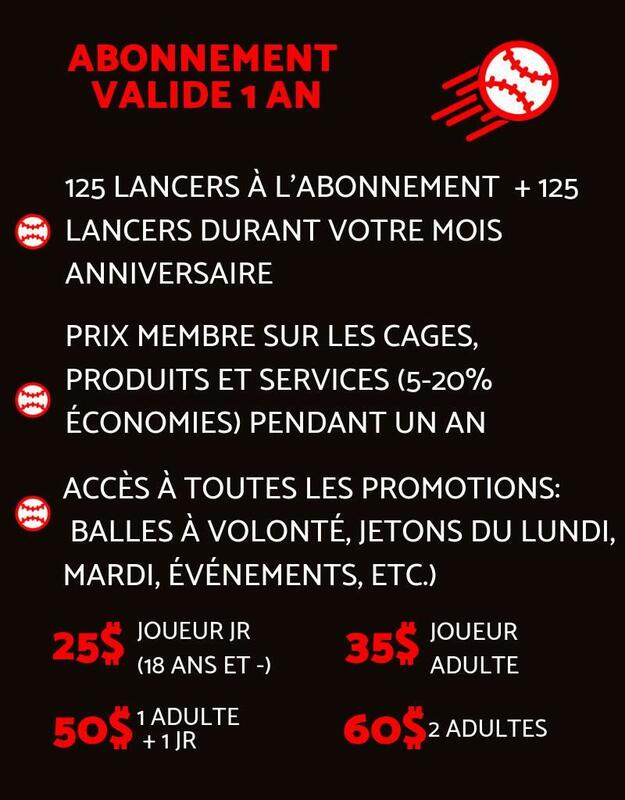 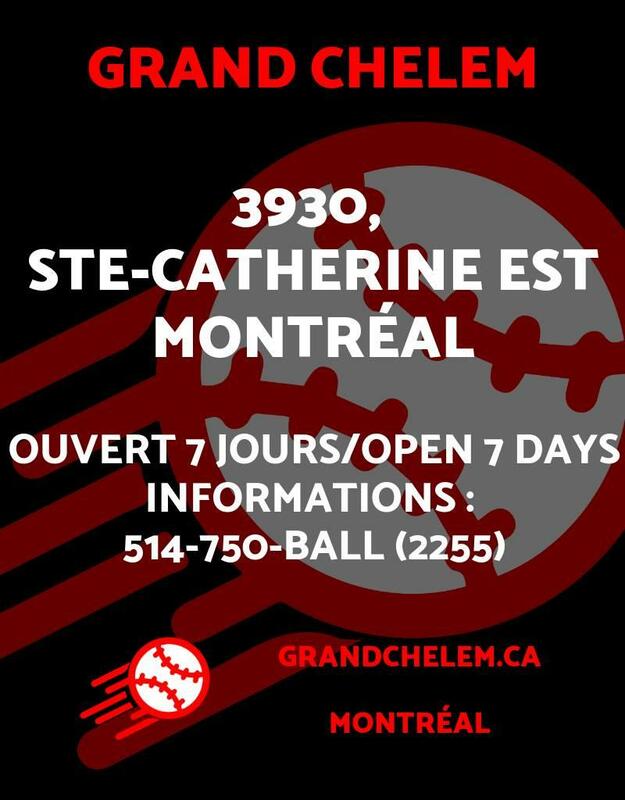 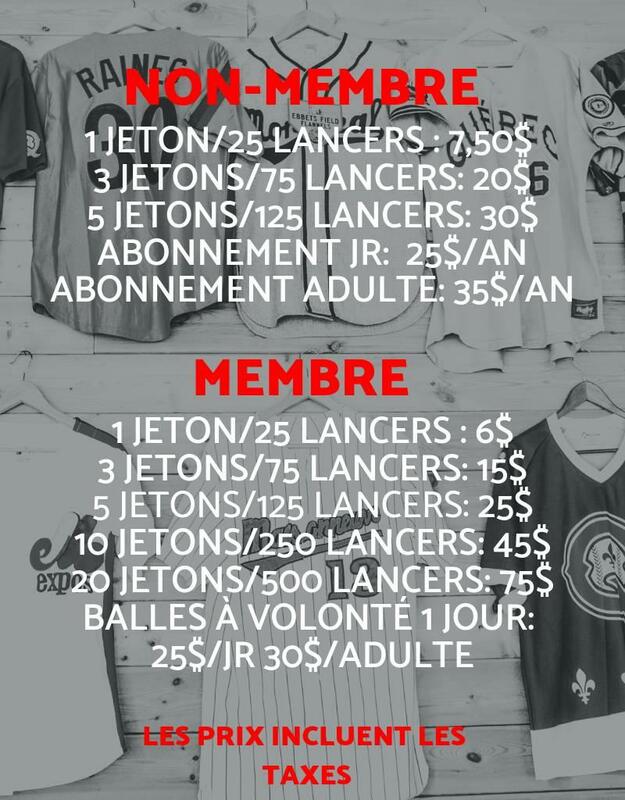 One-year membership for Grand Chelem for 2 adults giving you both the best baseball and softball experience in town. 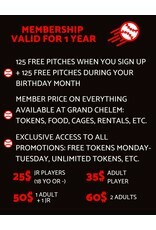 Get the best price in store, online, exclusive events & promos and much more for a year. 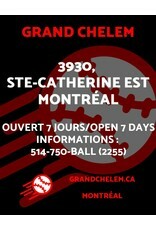 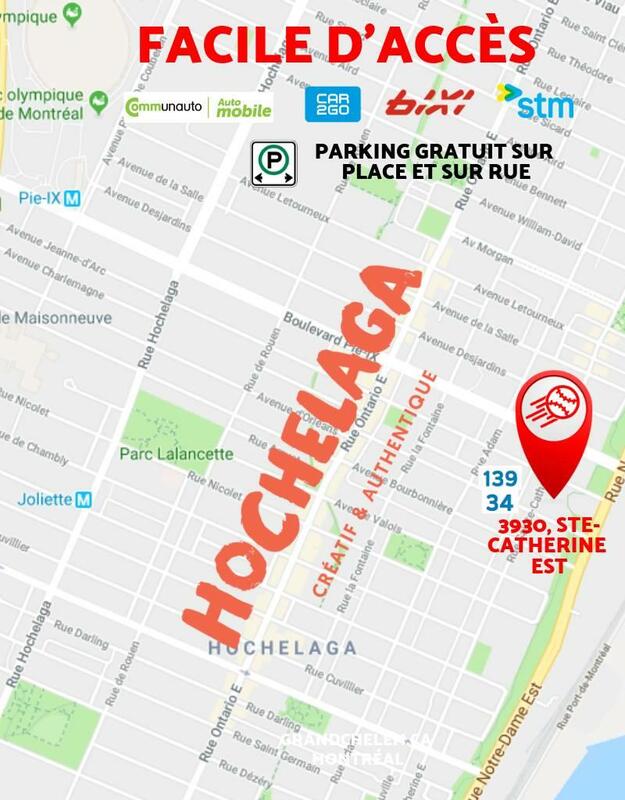 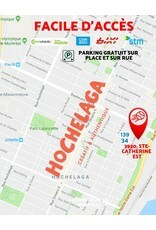 Open every day, at 3930, Ste-Catherine Est in Montréal. 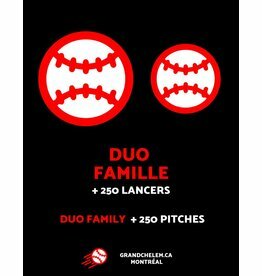 both players get 125 pitches with their sign-up!